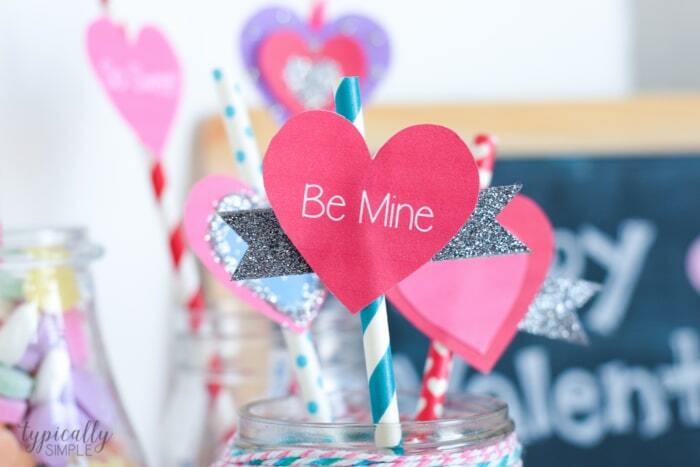 These straws toppers are super cute Valentine’s Day party ideas. Make them ahead of time to use as table decor or have the kids make them as a fun party craft using the free Valentine’s Day printable! Hi there! It’s Kelly from Typically Simple and I’m so excited to share a super easy, super fun little project with you! Valentine’s Day is one of my favorite holidays to make crafts for, it ranks up there with Halloween for sure! Now don’t get me wrong, I do love everything Christmas, but it’s always so crazy busy around the holidays that we just don’t always have time to sit down and do some crafts. I have a tendency to buy way too many of one thing for a craft, like when I made a cute Cupcake Liner Banner, I was using up just a few of the hundreds of cupcake liners I bought to make a wreath earlier in the year. Paper straws are also my weakness, especially when I find them in the Target Dollar Spot in so many prints and colors. Obviously buying craft supplies in moderation is something I need to work on! 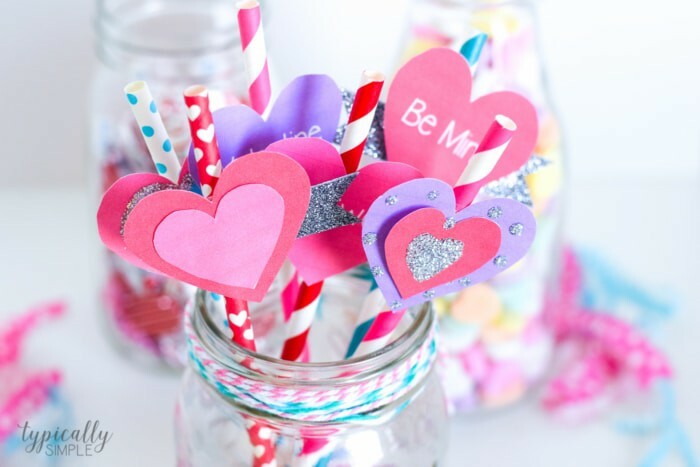 Nonetheless, these paper straw toppers are the perfect little touch for your Valentine’s Day party ideas. The straw toppers are such a fun way to add some pops of color to your Valentine’s Day party ideas! Use them as centerpieces and table decor, cupcake toppers, drink markers, or just a fun craft to keep the kids busy creating! Print the heart printables out on cardstock – the thicker paper will help keep the hearts from looking too floppy. If you are making this with younger kids, cut out the hearts ahead of time. Do not use glitter if you plan to use these with food or drinks! To make your straw toppers, start by printing the Valentine’s Day Hearts Printable and cutting out the hearts. Using double sided tape, attach smaller hearts to the bigger hearts and decorate with washi tape, glitter, gemstones, and any other fun embellishments you might have. 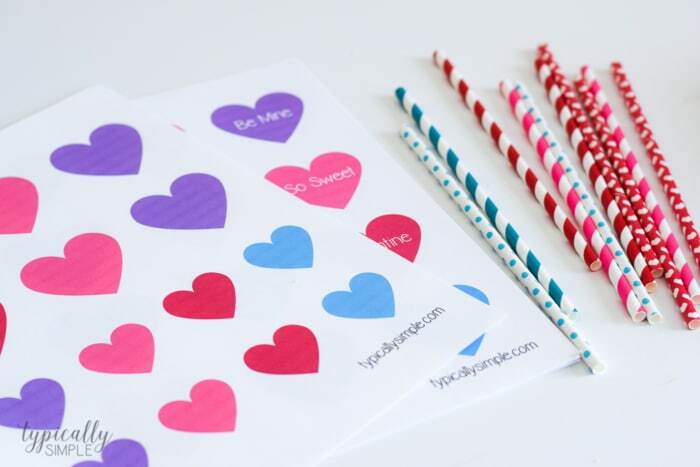 Attach the finished heart straw toppers to the paper straws with a piece of double sided tape. 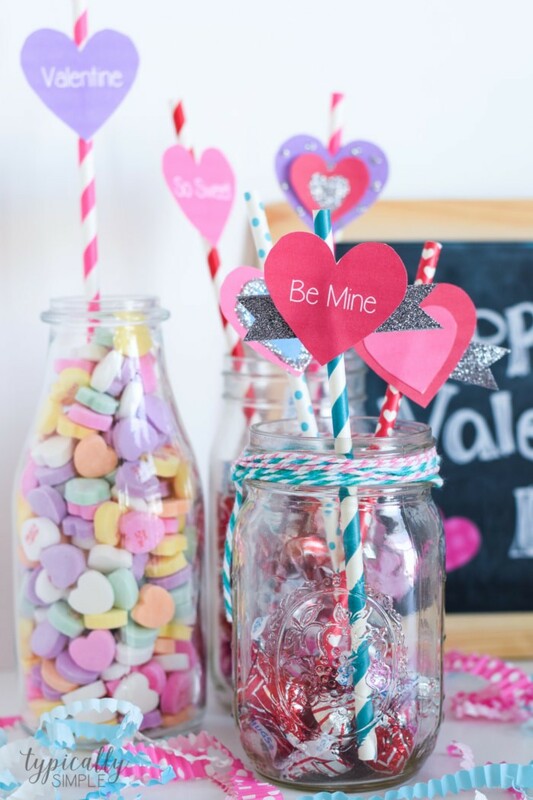 Arrange in jars or vases as a fun Valentine’s Day party idea! 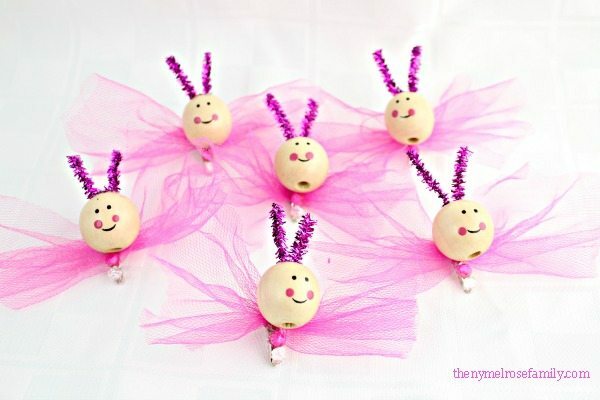 Super easy, super cute, and super fun! 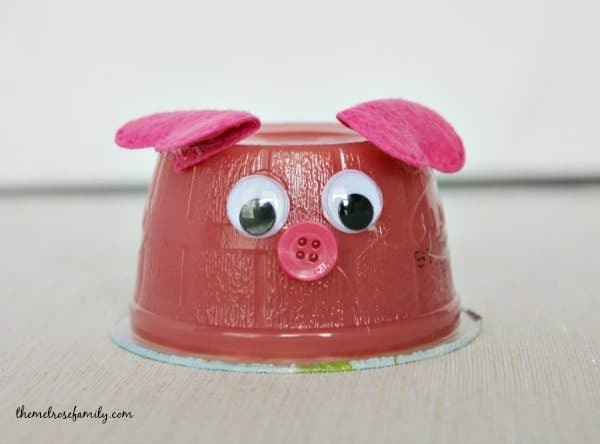 The kids will love making and using these to decorate for a Valentine’s Day party! 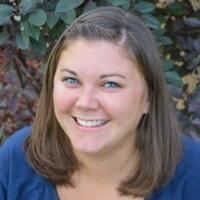 Kelly Meier shares creative inspiration for crafts, printables, and kids’ activities on Typically Simple. Kelly is a former teacher, now stay-at-home mom and a lover of all things chocolate, grande lattes, and the great outdoors…minus the bugs. 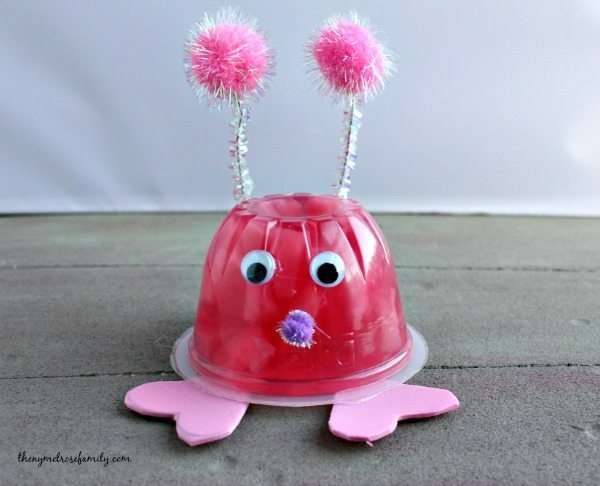 If you liked these Valentine’s Day party ideas you might also like…. From left to right: Love Bug Fruit Cups, Hogs & Kisses Valentines & Butterfly Hair Clips.